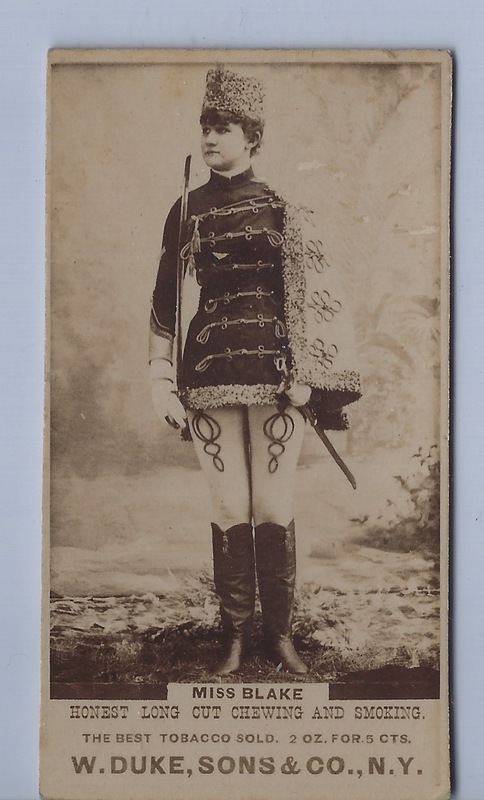 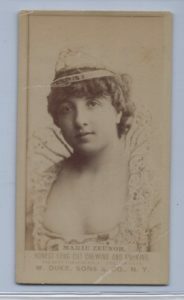 The N151 Honest Long Cut set is a large set of over 400 cards of actresses, political and other figures. Considered larger than the ‘average’ photo tobacco card, these cards typically measure 2.5″ by 4.0″ within a given tolerance. 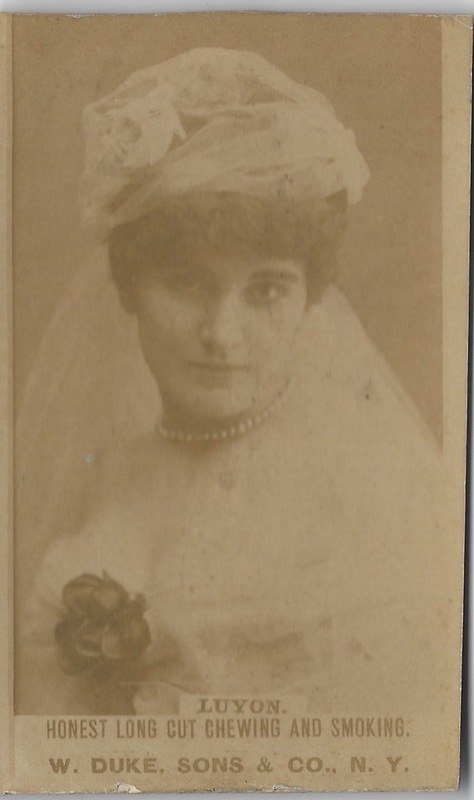 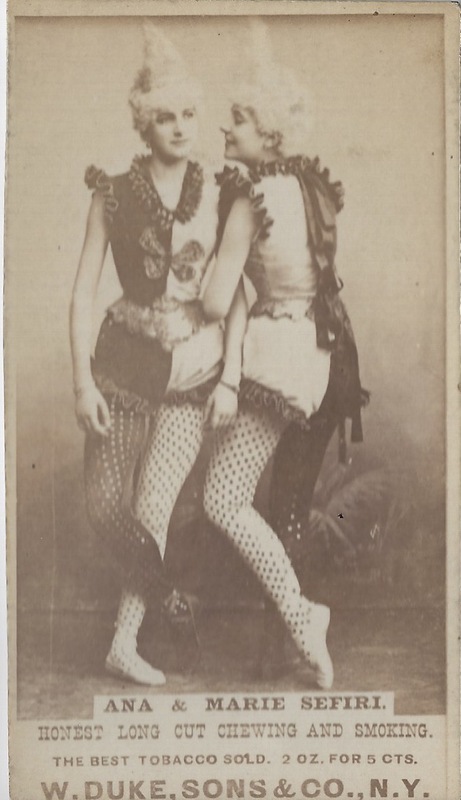 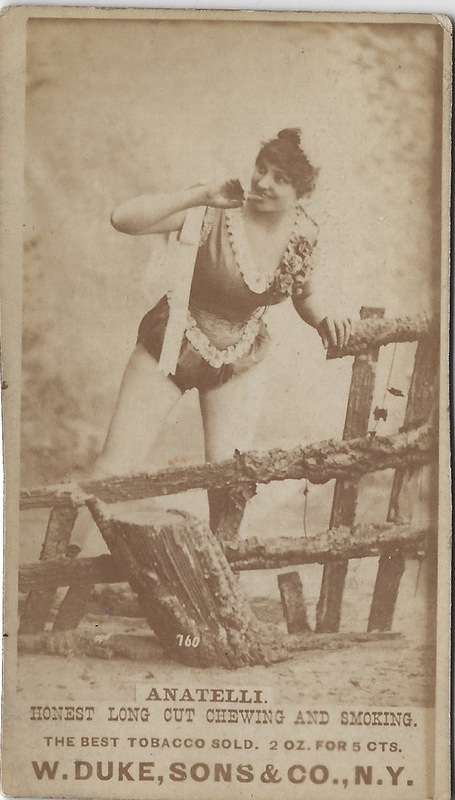 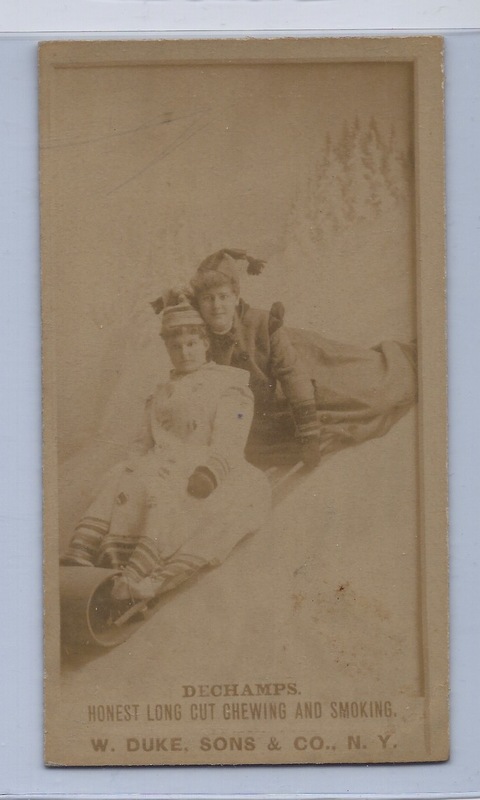 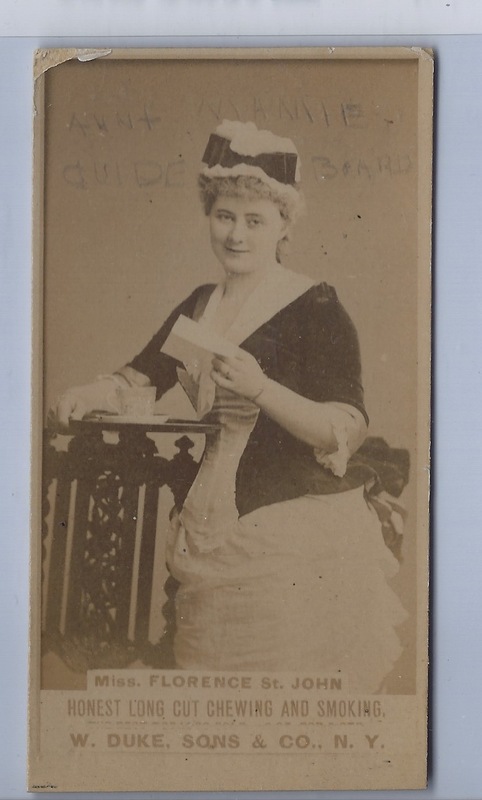 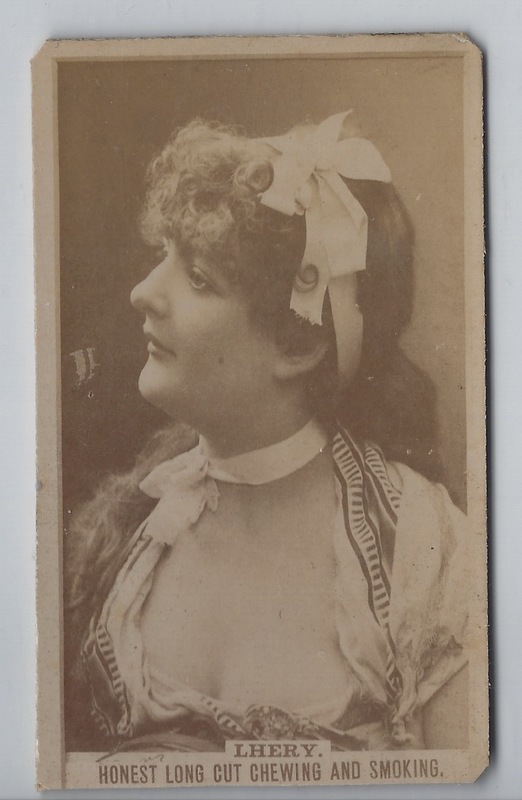 The five cards below were found skinned in an album of actresses, most of which were N245 Sweet Caporal actresses. With no backs to discern the type of card they are, I’m assuming that they were N245 Sweet Caporal-backed cards and a part of that set. 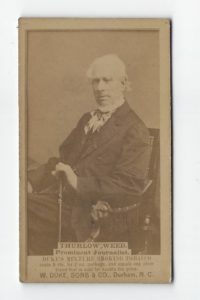 Whitelaw Reid was likely U.S. 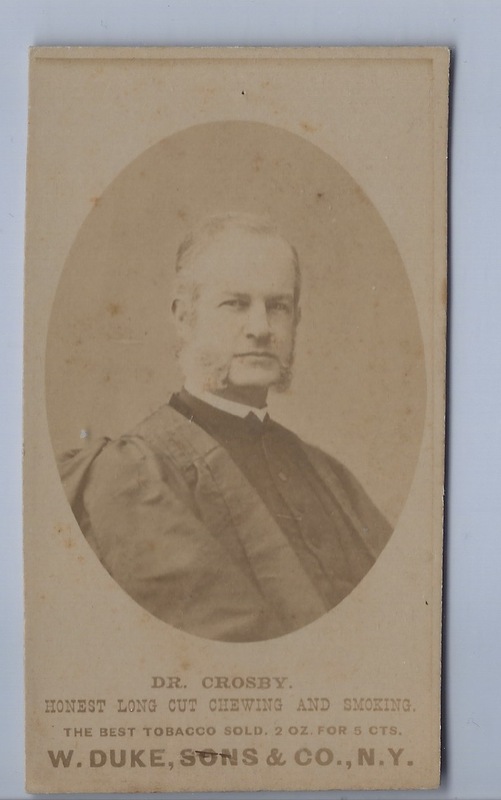 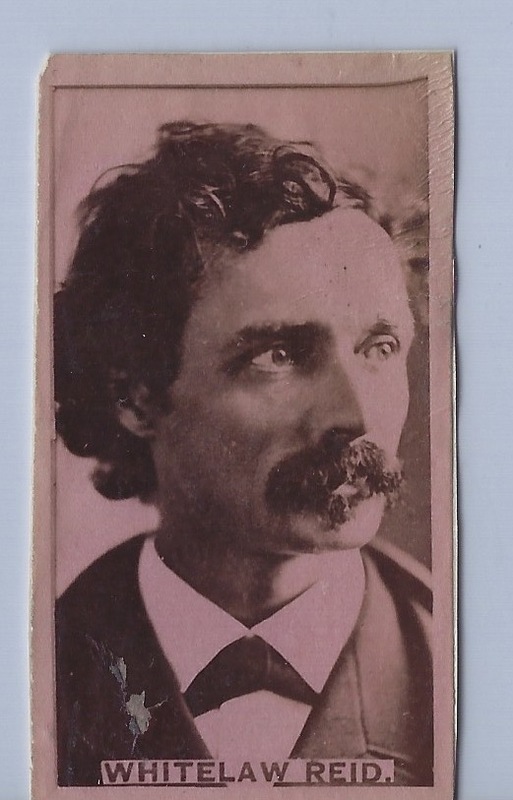 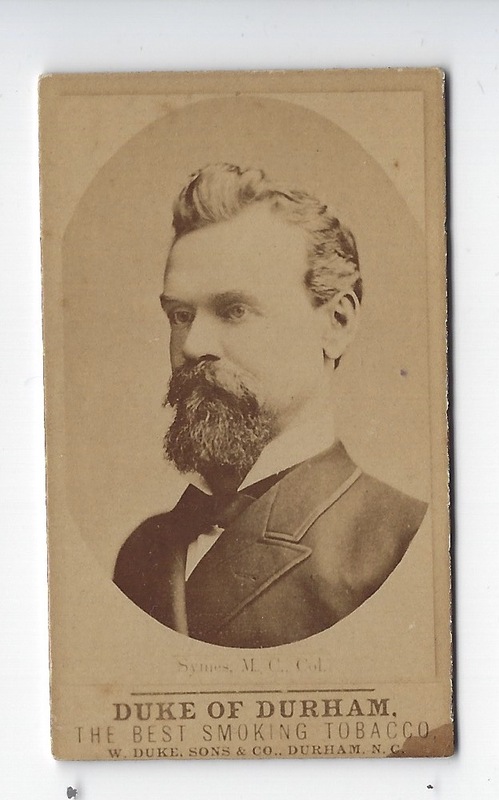 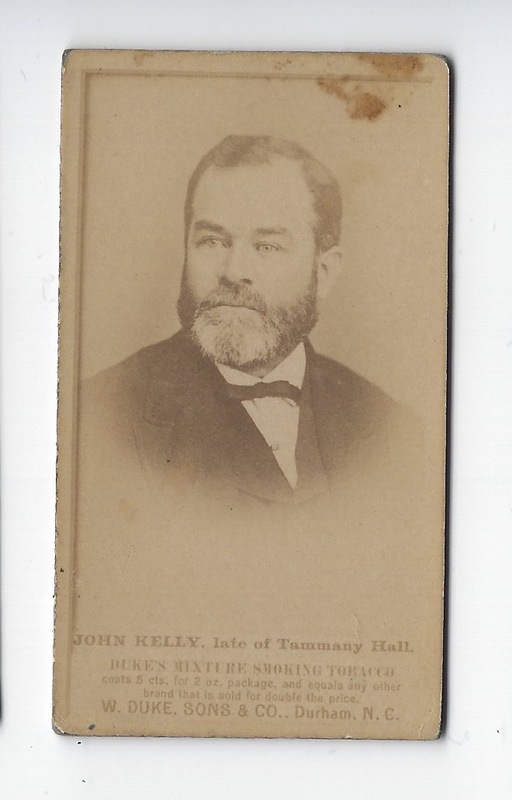 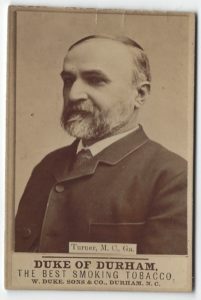 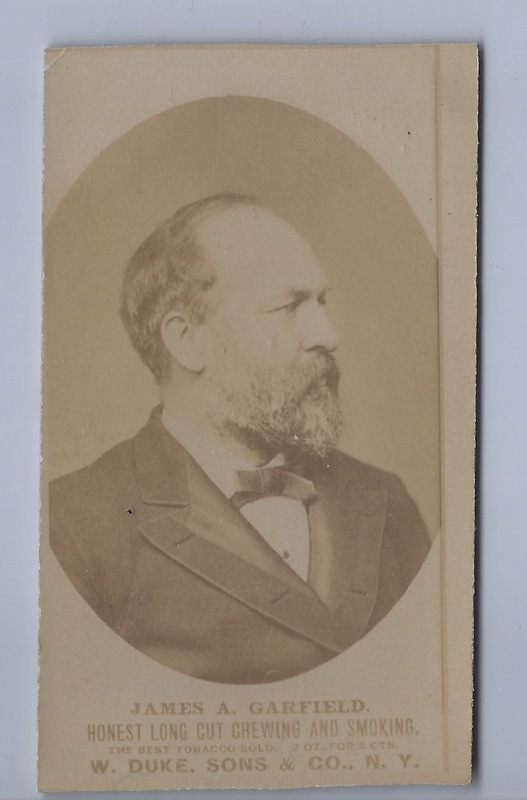 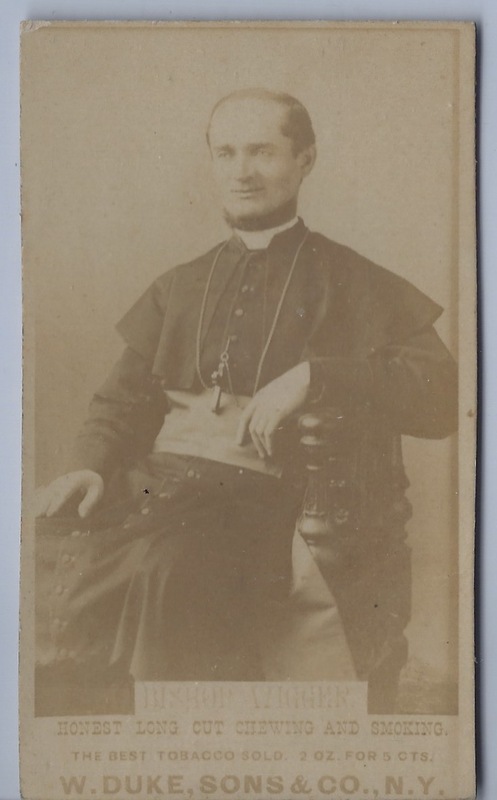 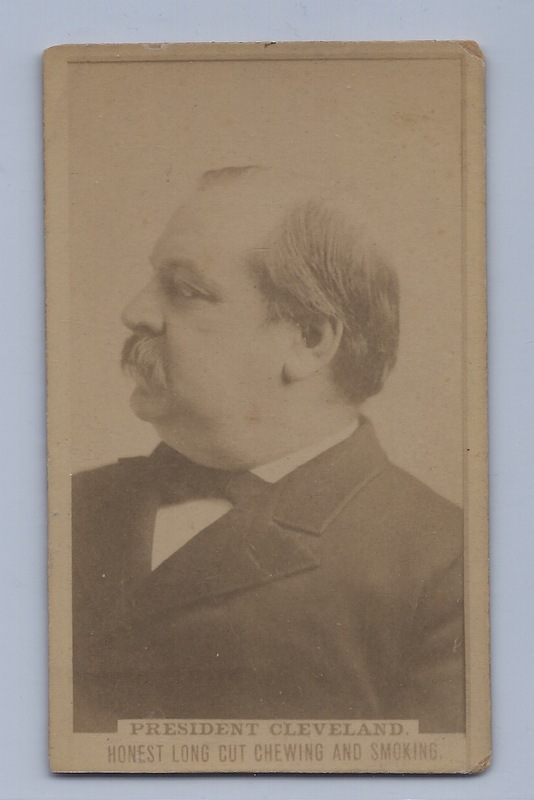 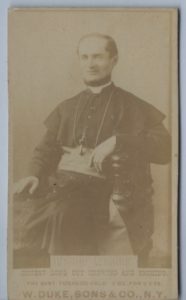 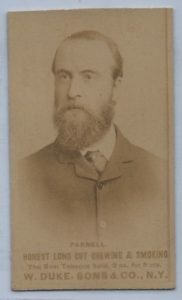 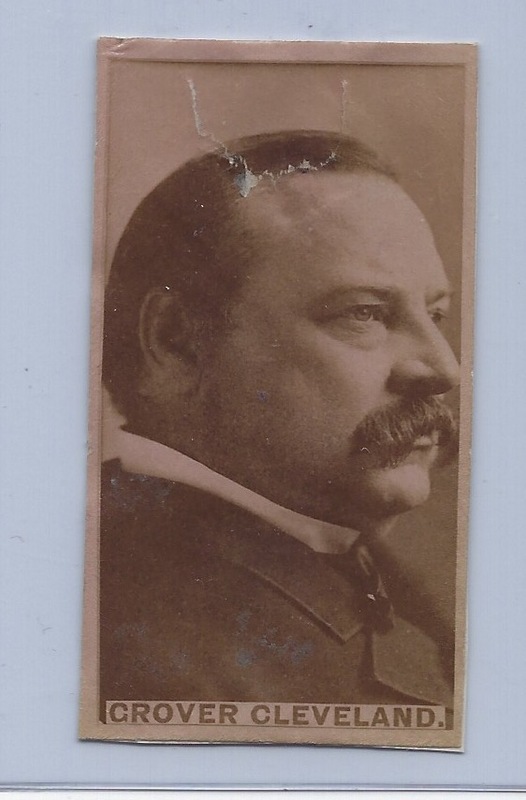 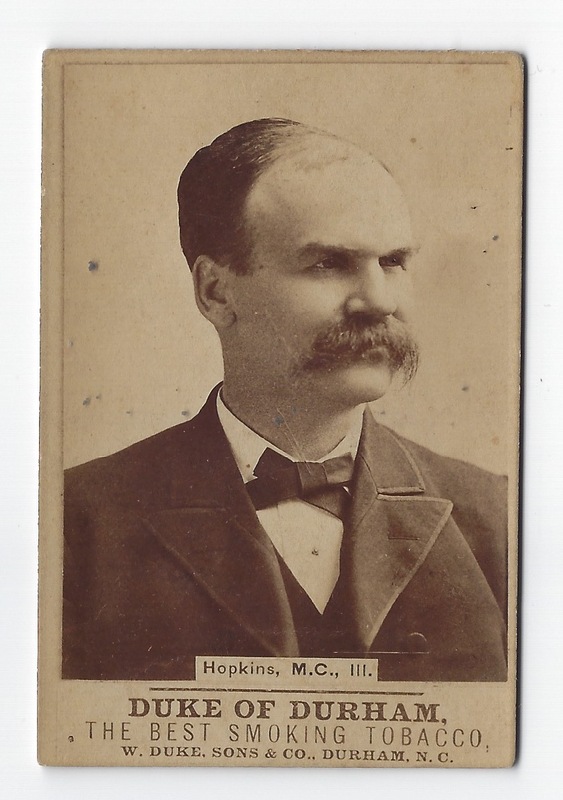 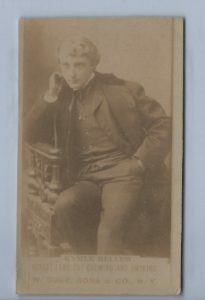 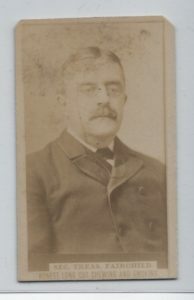 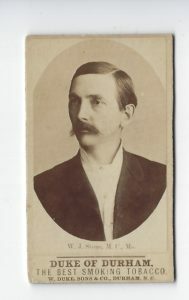 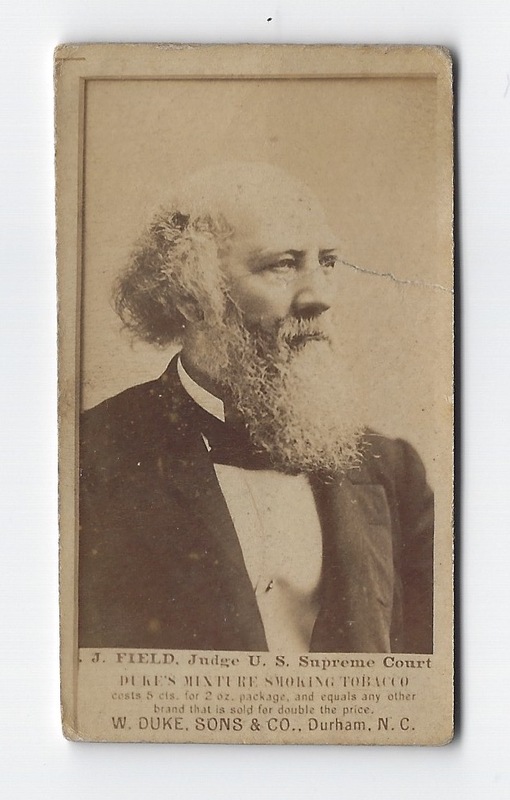 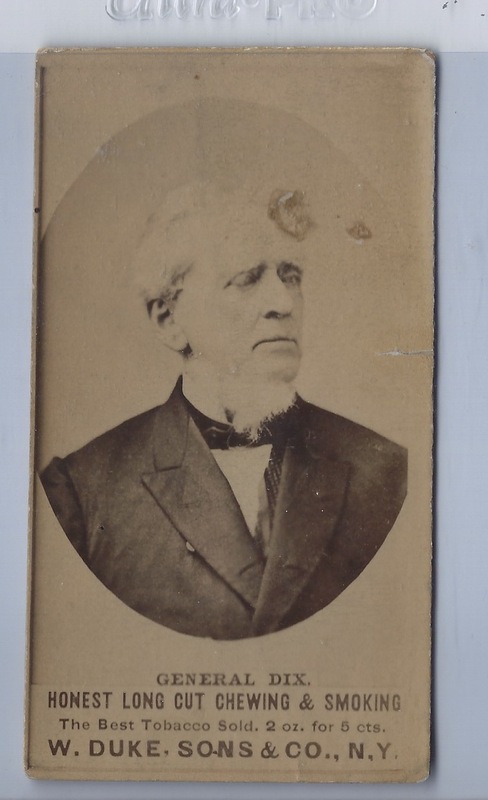 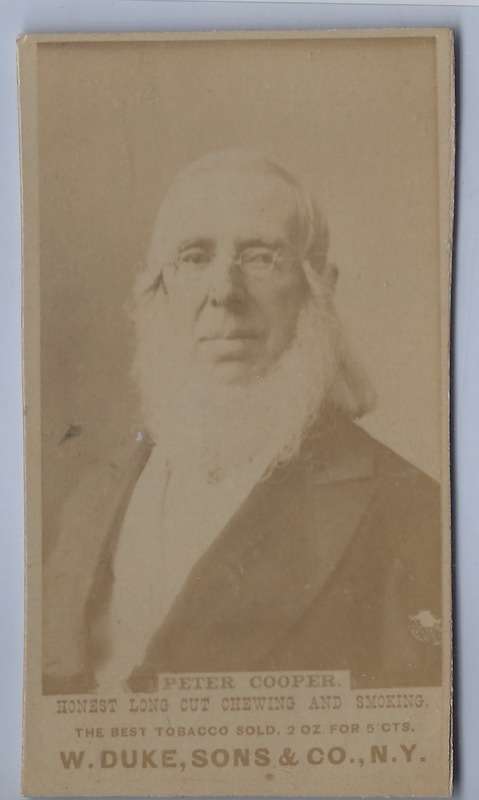 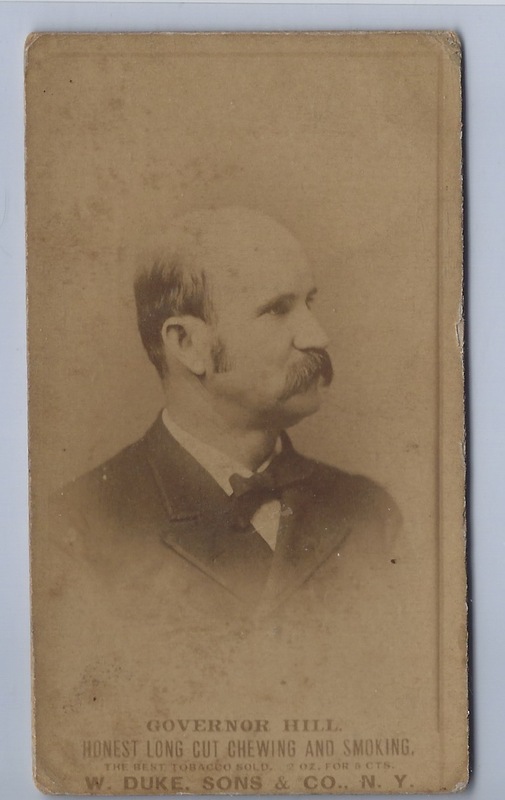 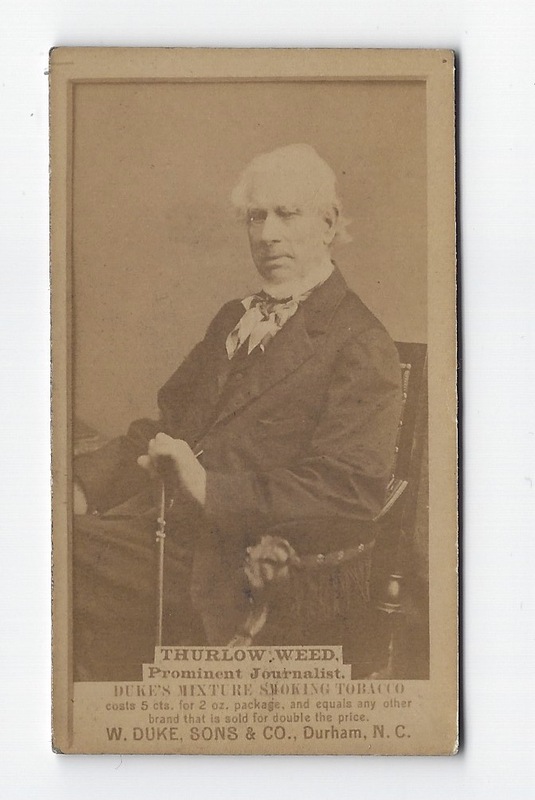 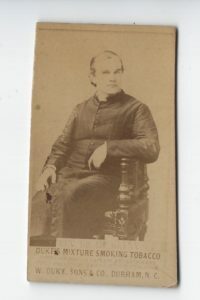 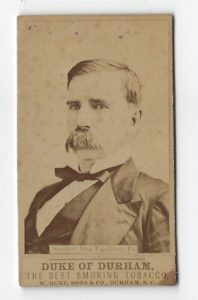 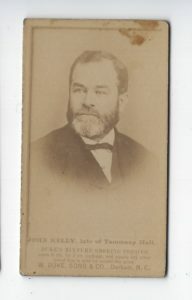 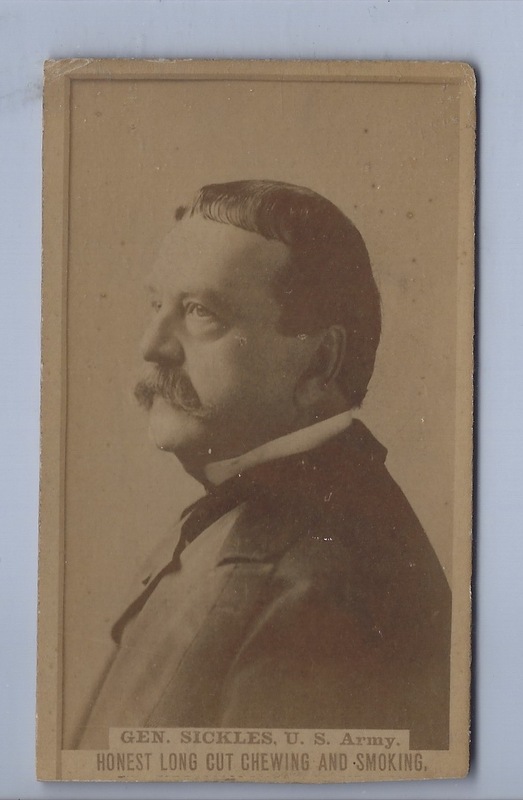 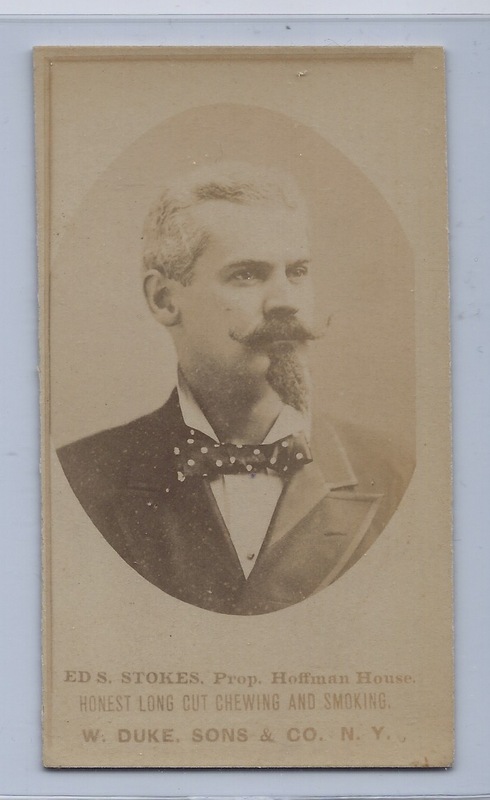 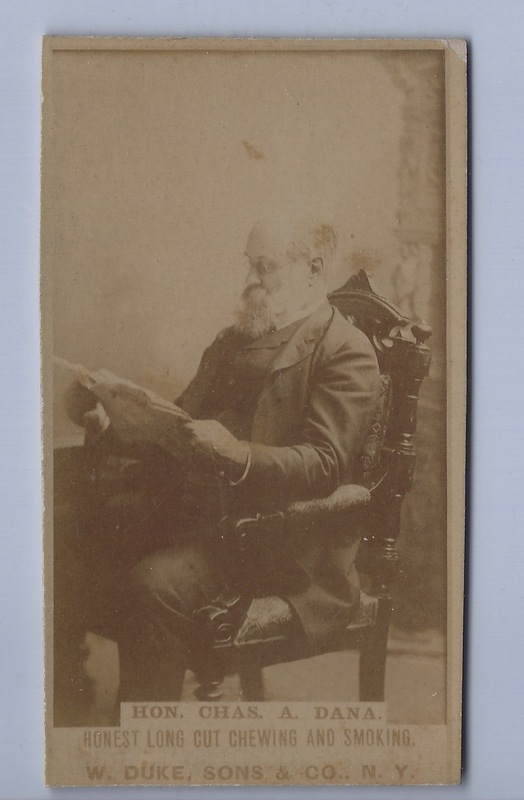 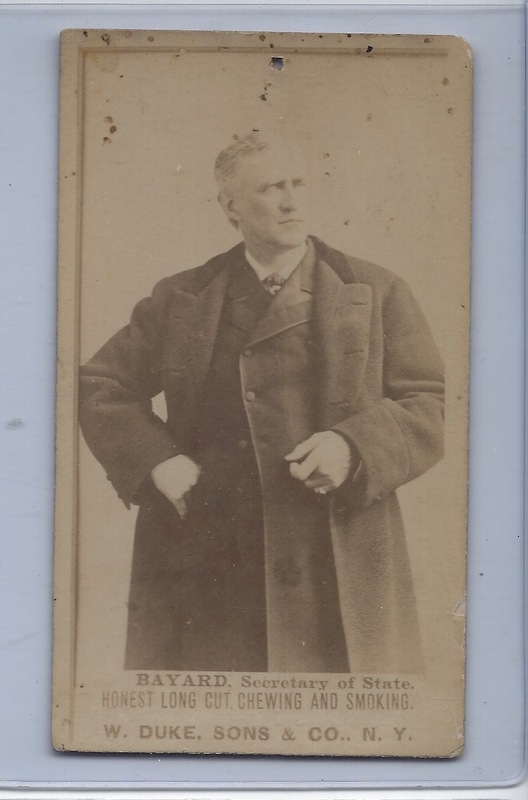 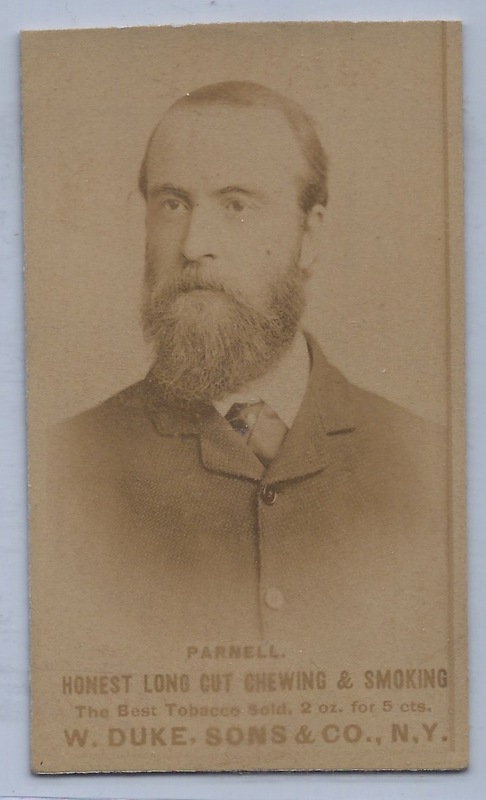 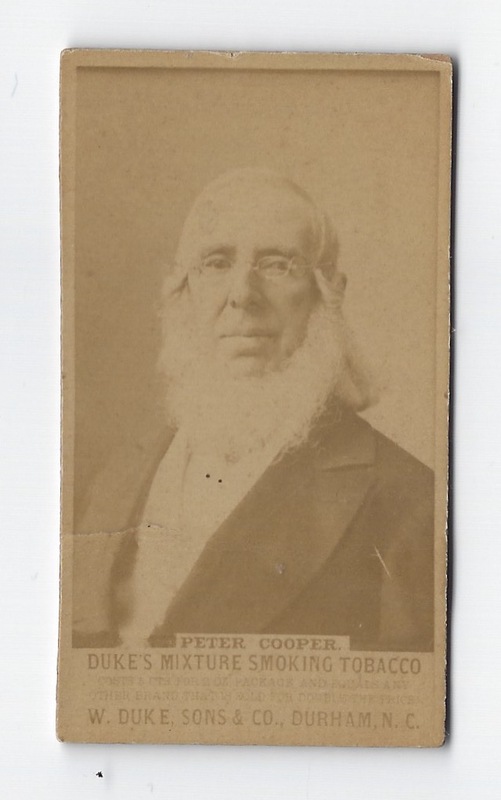 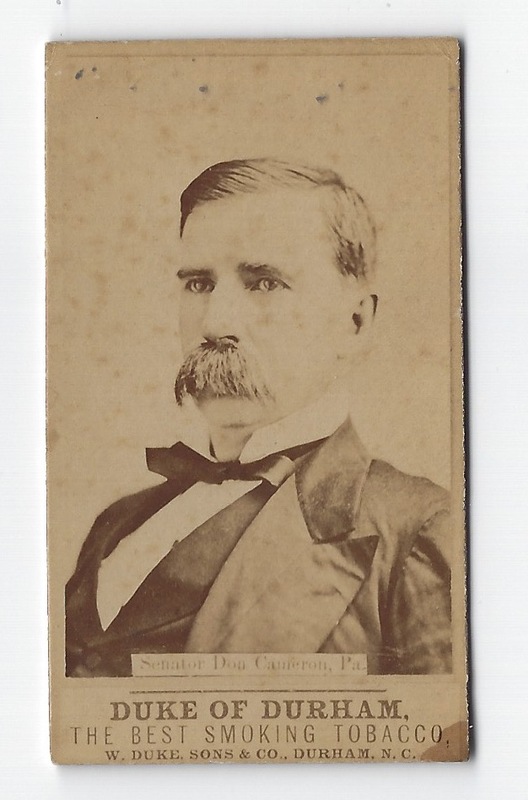 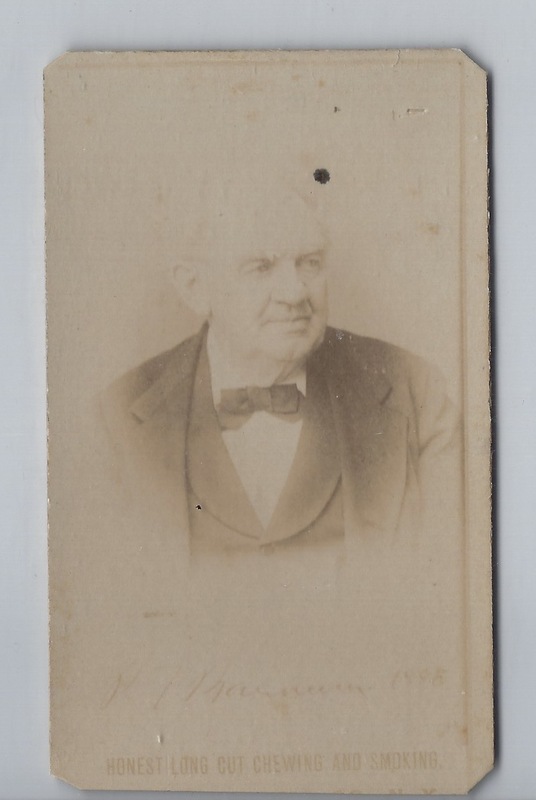 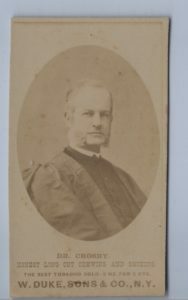 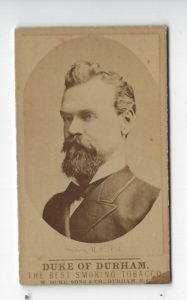 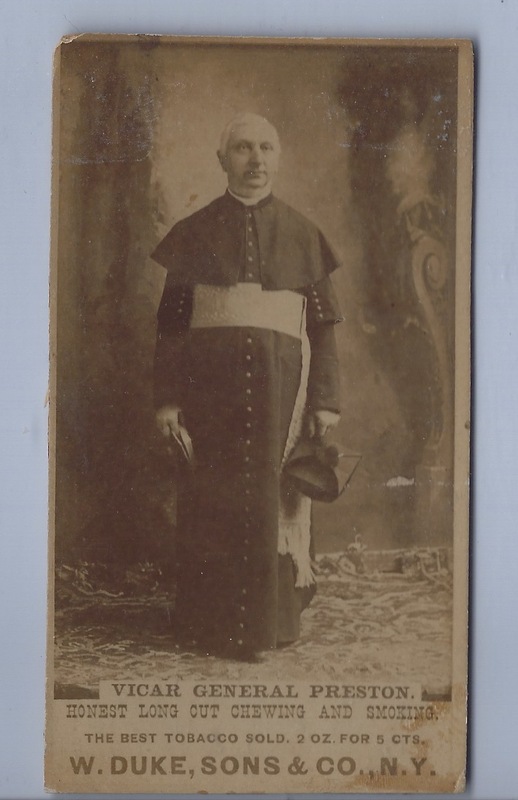 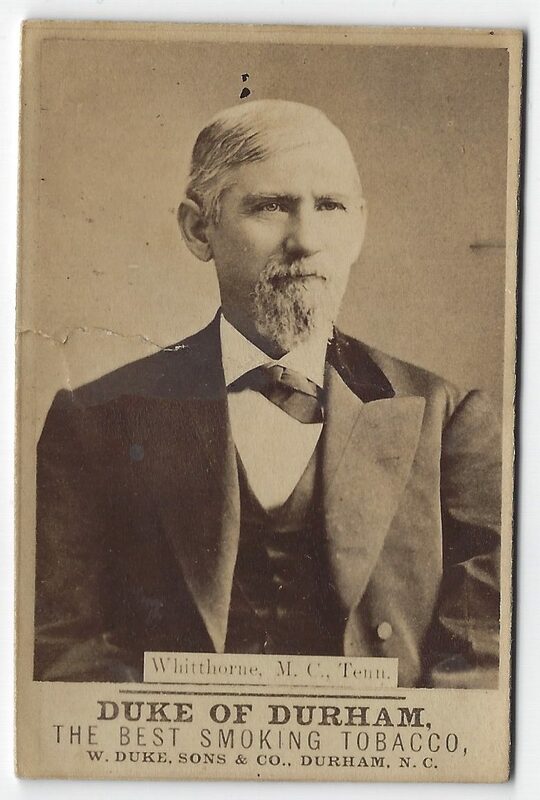 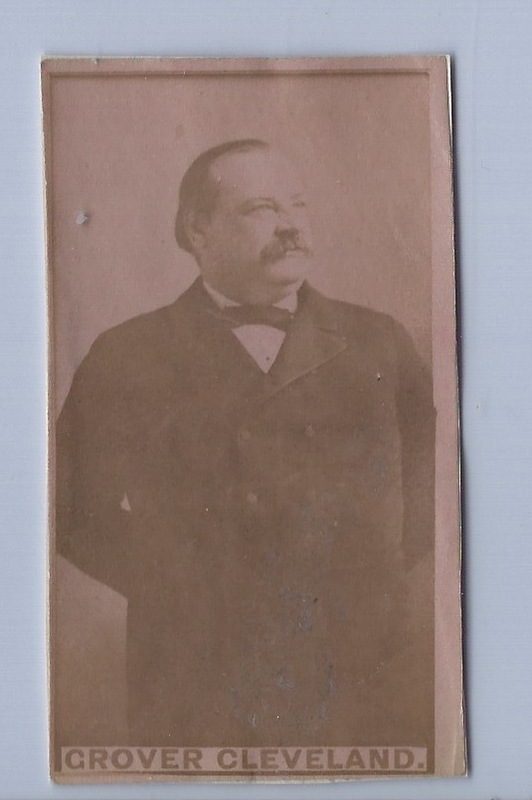 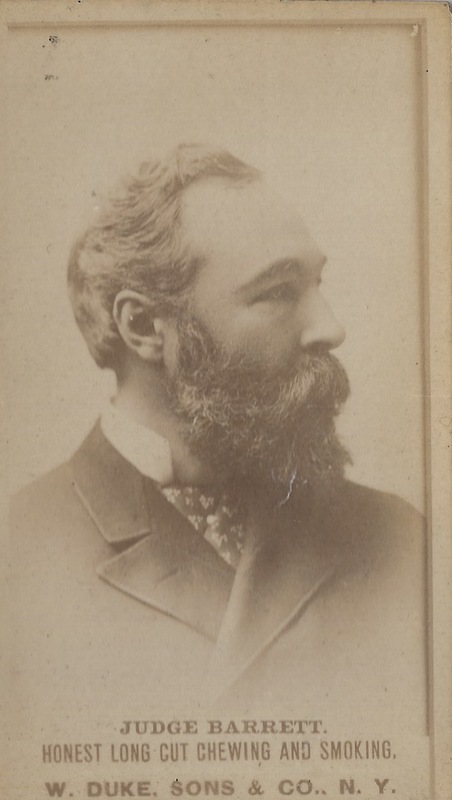 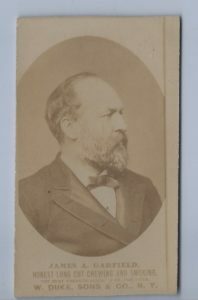 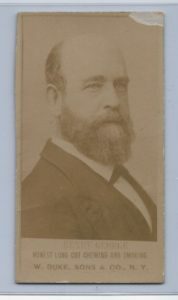 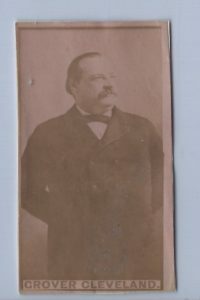 Ambassador to France when this card was included in this set as he held that office from March 1889 through March of 1892. 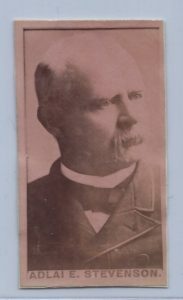 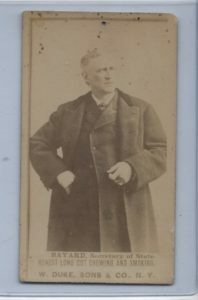 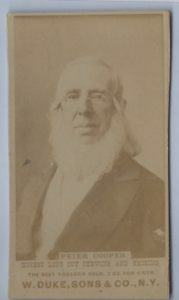 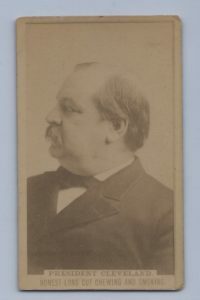 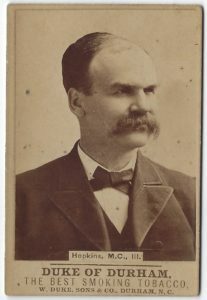 Stevenson was Assistant U.S. Postmaster general from August 1885 through March of 1889 and 23rd Vice President of the U.S. from March 1893 through March of 1897. All 4 subjects were involved in the 1982 presidential election as candidates for President or Vice-President. So it’s likely that the cards were issued in late 1891 to early 1892. 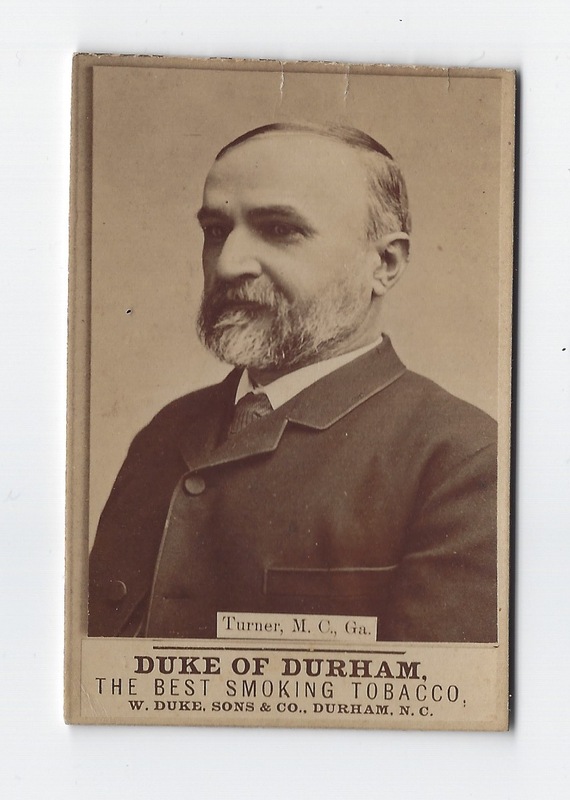 The Duke of Durham series came in two different sizes. 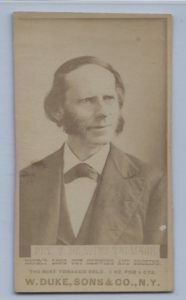 The first group below are slightly larger at about 2-3/8″ by 3-9/16″. 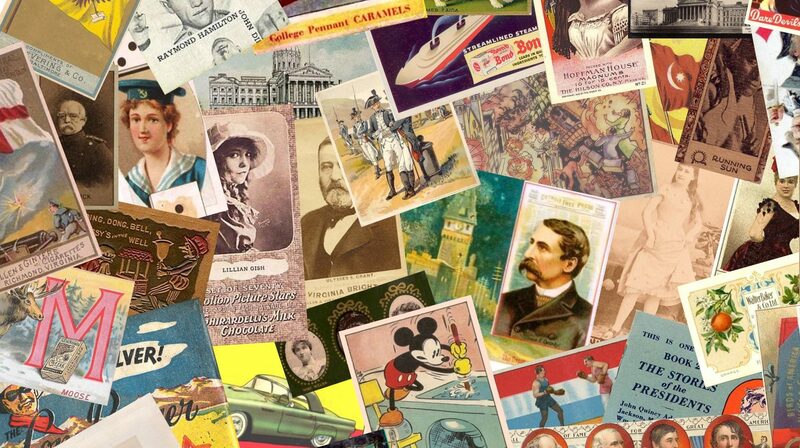 They are closer to new baseball card sized cards. 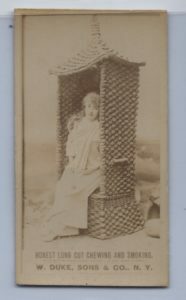 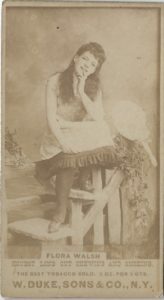 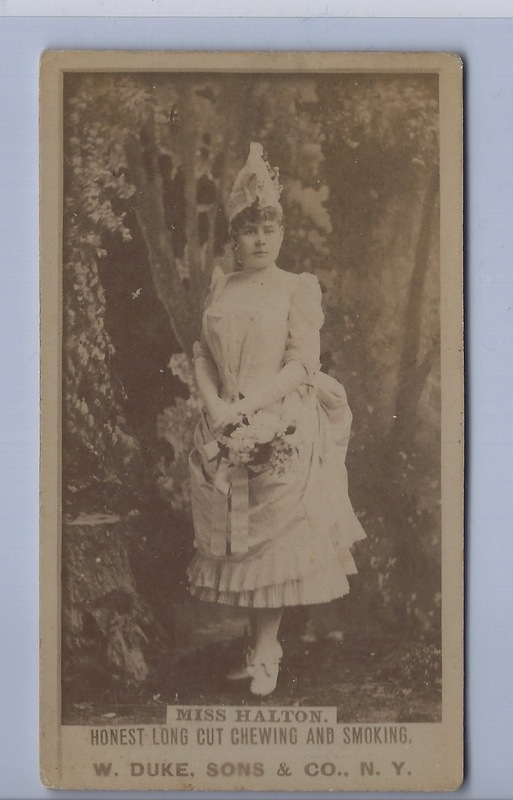 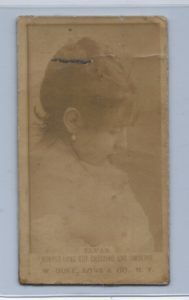 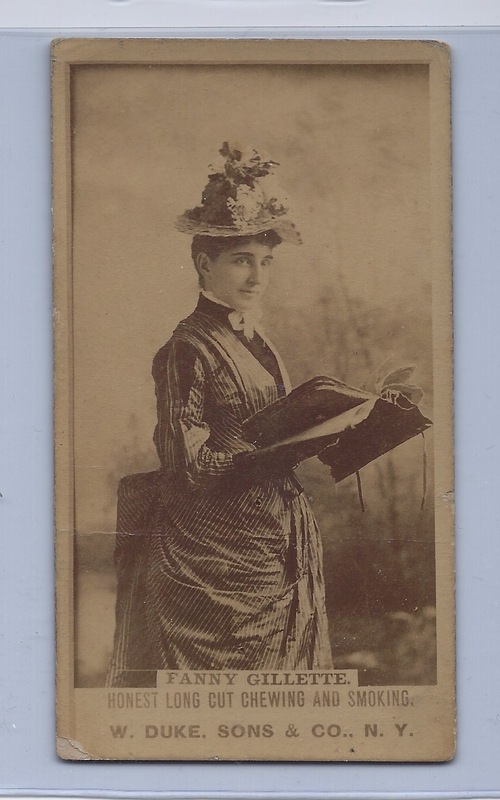 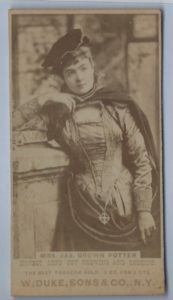 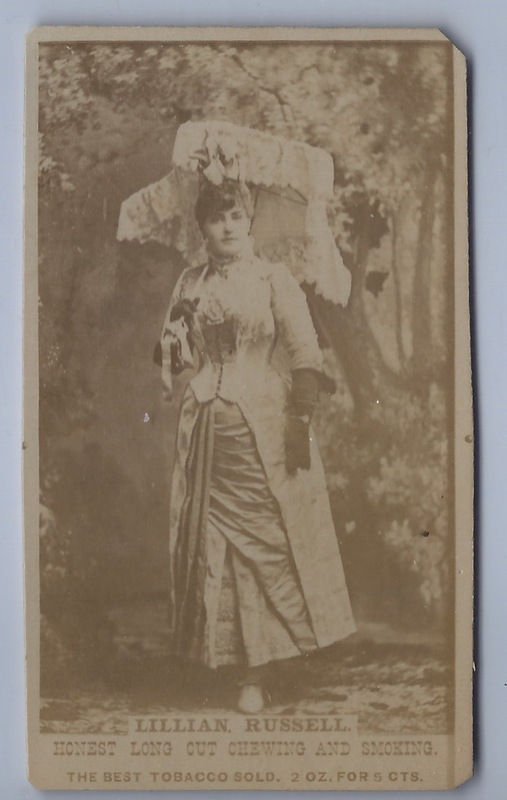 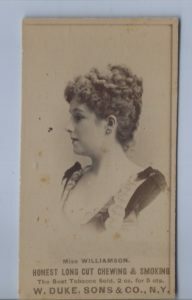 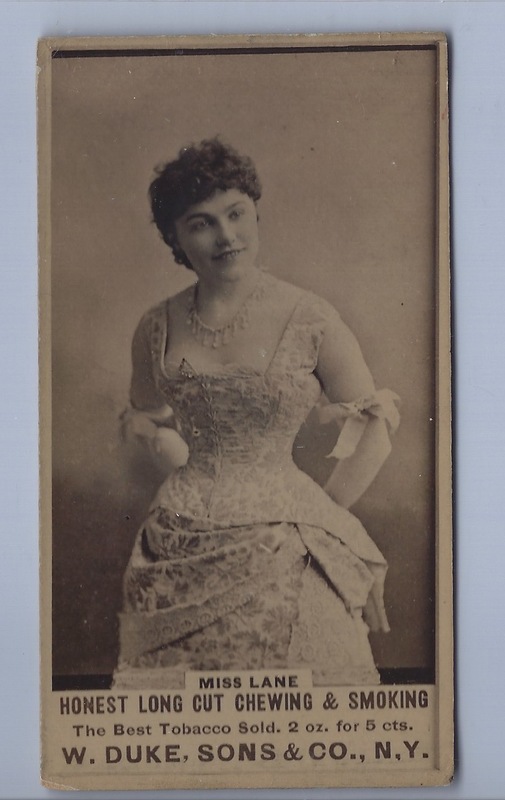 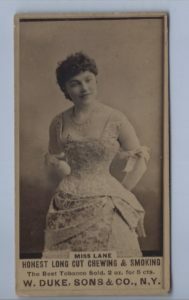 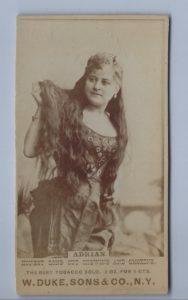 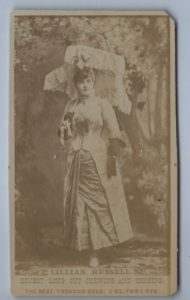 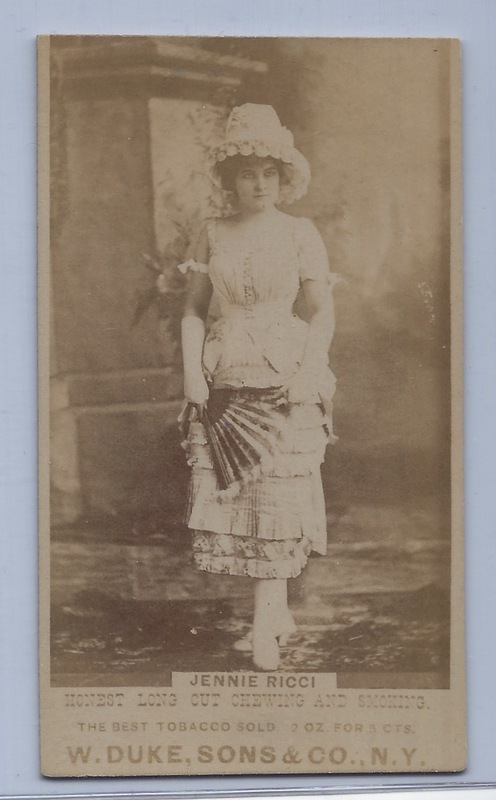 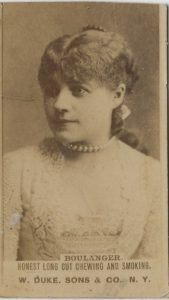 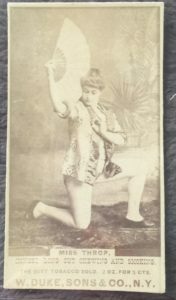 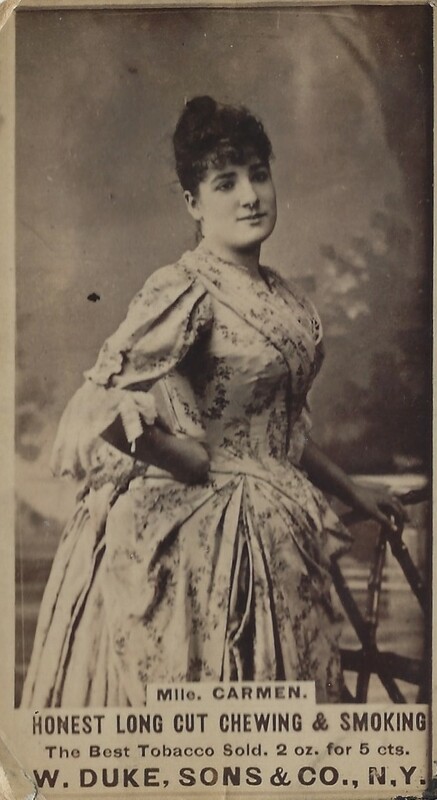 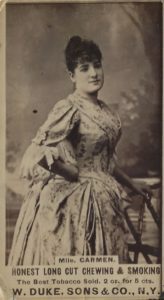 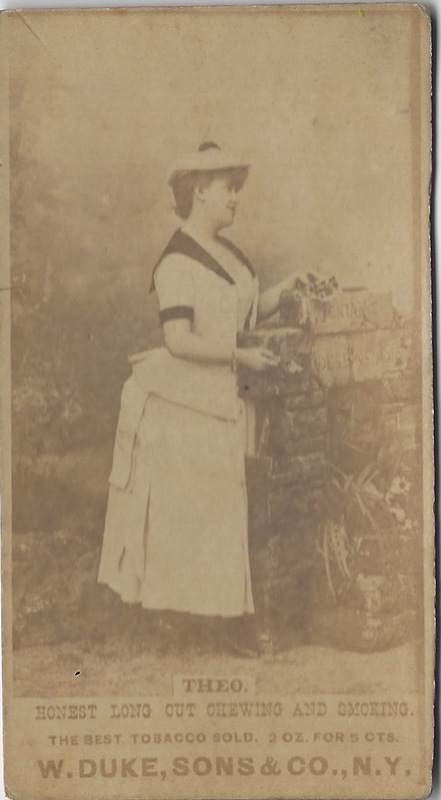 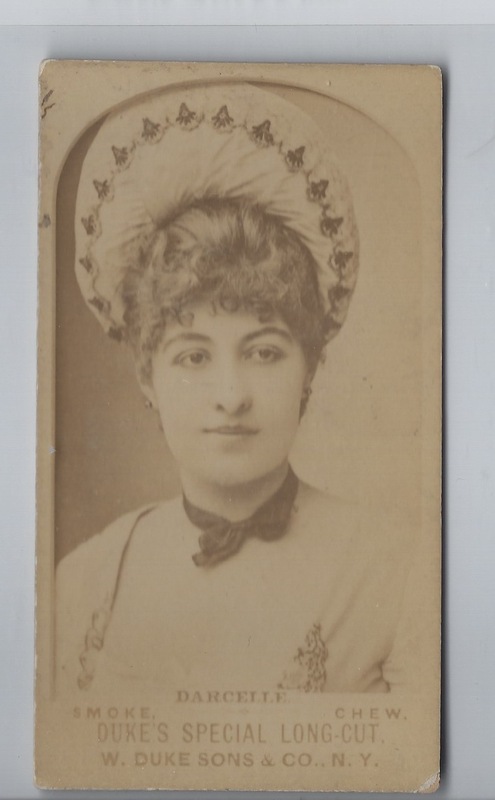 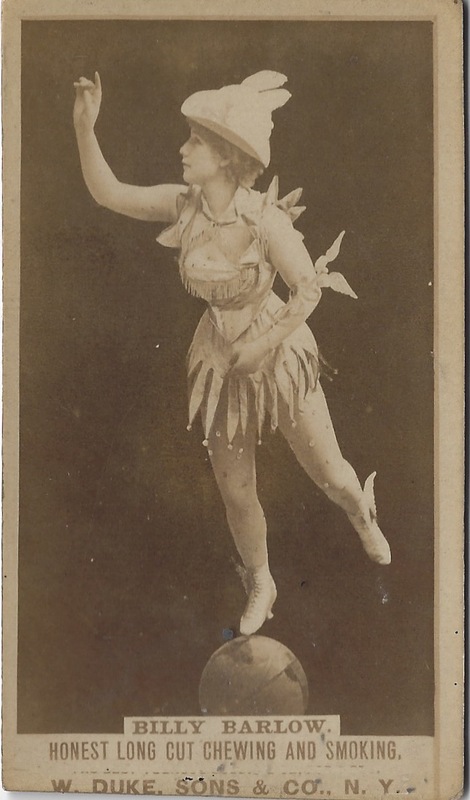 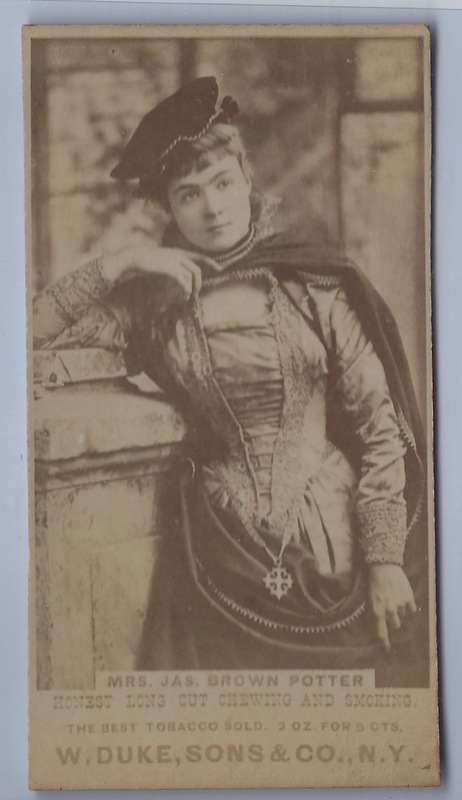 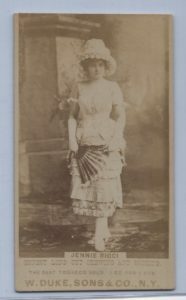 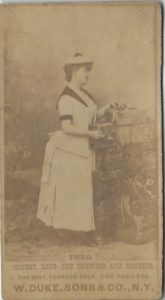 The second group below are slightly smaller and closer to what the ‘normal’ 19th century actress card would be at 1-11/16″ by 2-13/16″. The M.C. 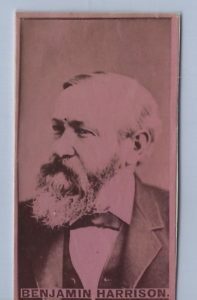 designation on the larger sized cards is for Member of Congress. 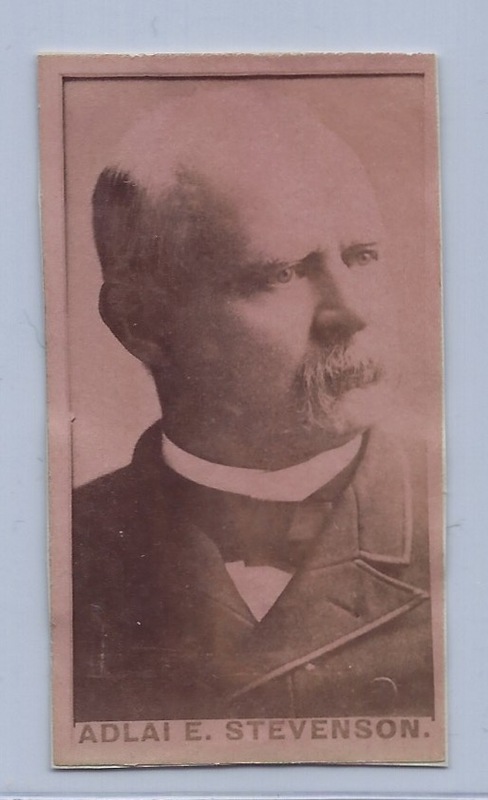 The Sunny South series was issued by Duke and Kimball tobacco companies. 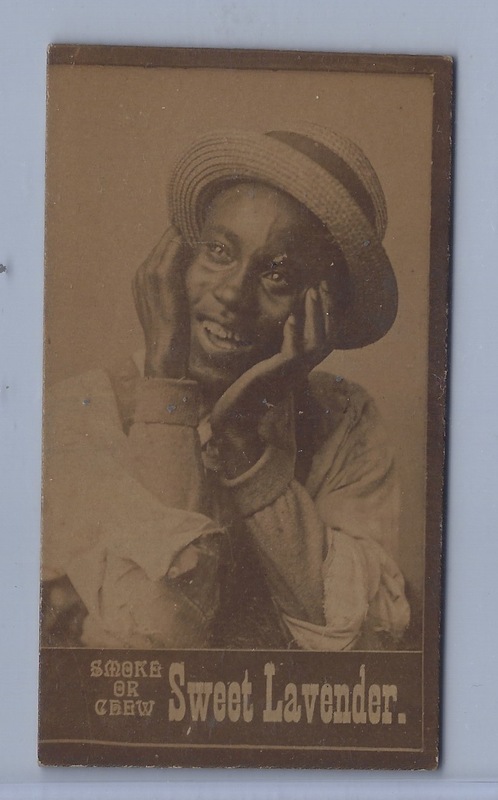 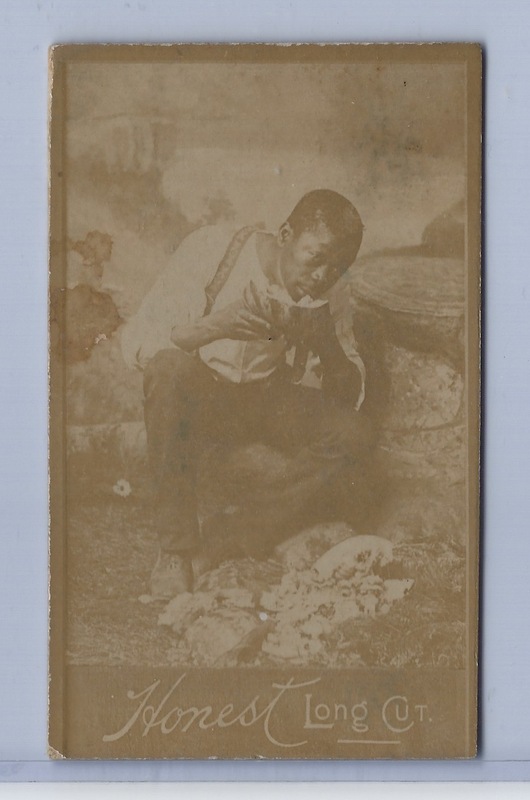 They picture African American subjects, often in racist or over-hyperbolized poses. The Duke cards were issued in Honest Long Cut and Bob’ Link products and the Kimball in Sweet Lavender and Gold Flake Cut products. The Honest Long Cut and Sweet Lavender cards are the most common in the series.